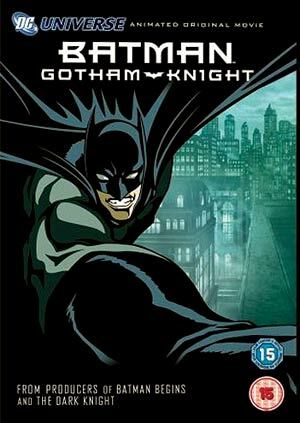 Intended to fill the gaps between Batman Begins and Dark Knight, Gotham Knights offers us six animated shorts, much in the same way as The Animatrix did for The Matrix. Each story is self-contained and created by a different writer (including Greg Rucka, Jonah Nolan and Brian Azzarello) and animation team, but collected, they add up to create one unified whole. They capture the mood of both the comics and the recent films, and while some are better than others they are all entertaining, with appearances from the likes of Killer Croc, Dead Shot and the Scarecrow.